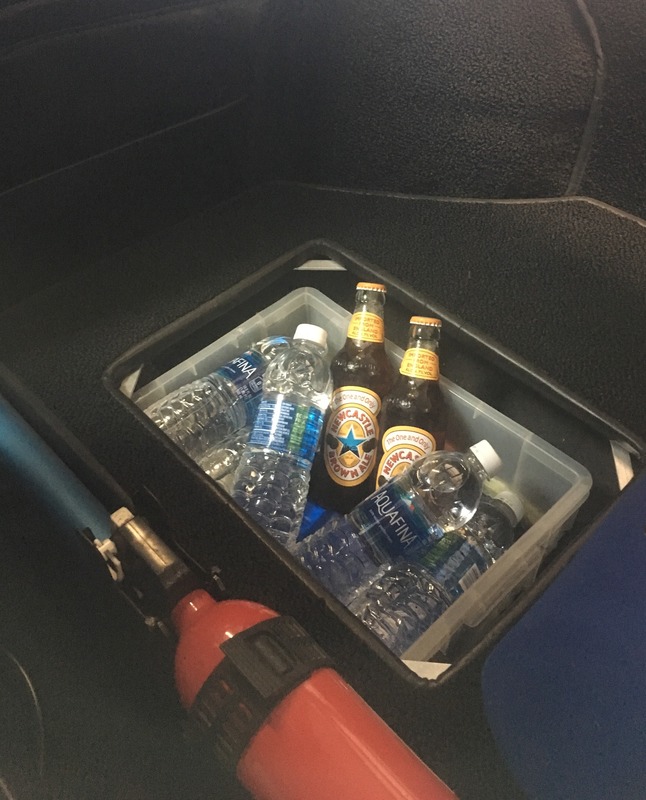 Insulated cooler behind the passenger seat for that long and windy road. Install the complete suspension and brakes from a tii in a regular 2002. Rear view mirror upgrade with map lights.. Totally new feeling of the car - capable of doing relaxed 160 kph all day long.